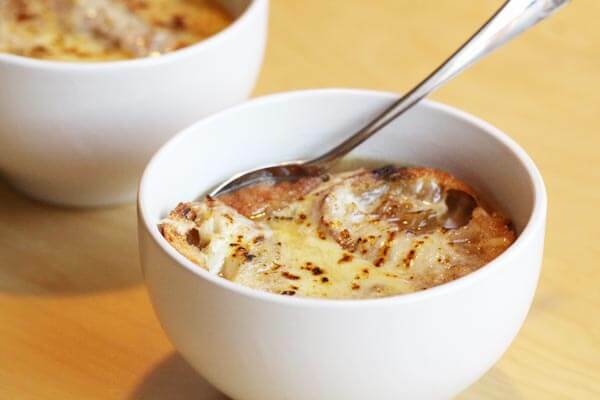 To start off our celebratory meal starring foie gras poutine, I decided to make a classic French onion soup. It would be light enough that we wouldn’t die after the meal, but flavourful enough to hold its own. Making French onion soup is very straightforward. The trickest part is getting nicely caramelized onions. 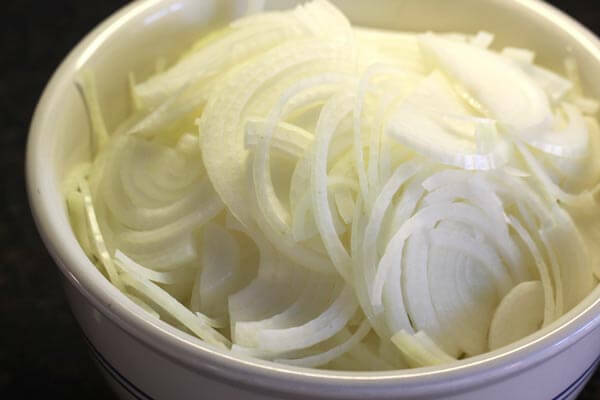 (Here are some of my tips for caramelizing onions.) But once your onions are done, you’re nearly done. 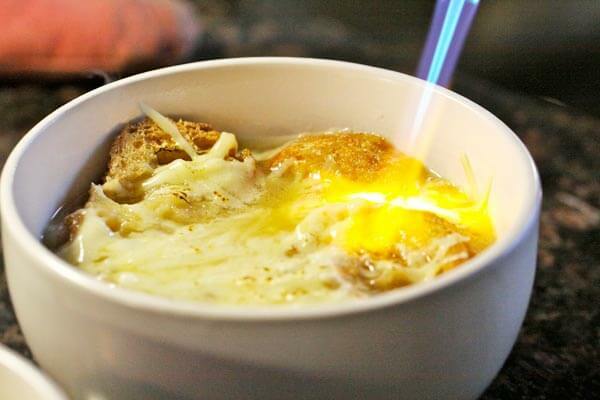 It’s essentially just a matter of adding the broth, toasting the bread, and broiling the cheese. One obstacle I faced was a lack of broiler-proof soup bowls. (And if anything, I have too many kitchen things, so I refuse to buy new bowls.) I therefore turned to my trusted blowtorch. If it’s good enough for crème brûlée, I figured it had to work for the cheese. Sure enough it did. And the outcome? Good, but not great. It was tasty, but lacked punch. The recipe said you could use either beef broth or chicken broth. I chose chicken broth, because I always keep homemade chicken broth in the freezer. I think the beef broth would have made that extra little difference. I’ll keep this recipe on file, and give it another try sometime soon.